I’ve been hoping for a new novel from Francesca Kay for quite some time now. I enjoyed both of her previous books which explore the nature of passion – An Equal Stillness looks at the way in which the prosaic everyday grind of marriage and parenthood can stifle creativity while The Translation of Bones examines religious fervour and the solace it can offer, misguided or otherwise. In some ways The Long Room has similar themes but this time the setting is ‘the Institute’ – or MI5 as we can assume it to be – during the last few weeks of 1981. The Cold War is still quietly raging, Irish terrorism is in full swing and the nation is gripped by Brideshead Revisited fever. Stephen is a ‘listener’. He listens to tapes of tapped phone calls along with several colleagues in the long room, each attentive for the tiniest hint of treachery be it spoken or unspoken. His department looks after low-risk targets but every so often they’re called in to help others when it appears an operation is about to go off. Just as in any other office, there are after-work drinks to be had or avoided, Christmas parties to attend, presents to buy. Smartly dressed, Oxford-educated Stephen is seen as something of a cut above, an illusion he quietly fosters although his weekends are spent in his cramped childhood home with his mother whose pride and joy he is. When he’s called to a meeting by an operative who’s concerned about the loyalty of a colleague, he finds himself listening to the comings and goings at the Greenwood household. Soon he’s obsessed with Helen Greenwood, convinced he’s in love with her. Judgement is clouded, risks are taken and before too long Stephen has found his way down a very dangerous path. Kay draws you in to Stephen’s story while slowly but inexorably ratcheting up the tension. Her writing is quietly low-key, summoning up the mundane life of the listeners. This isn’t the high-octane world of Spooks but very much closer to the truth I imagine. It’s a world where ‘listeners become interpreters of silence’, where ‘boredom is the condition of the listener’. Attachments are formed – Stephen imagines himself growing old with Oberon, his Jamaican target who is much the same age as himself, and worries about Vulcan the ageing communist who lives alone. Stephen’s character is convincingly drawn. 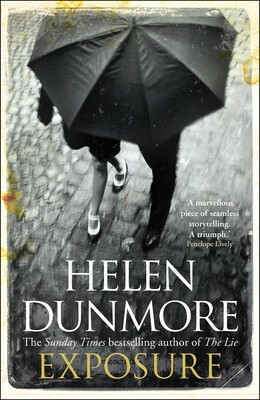 His aching loneliness, his painful attempts to disguise his working-class background and his hopelessly romantic obsession with Helen all combine to form a portrait of an outsider at times poignantly so as are the passages in which his mother frets her way around her small world, remembering the golden days of Stephen’s childhood. The dénouement when it comes is hardly a surprise but this isn’t a thriller in the traditional sense. Slow-burning and beautifully written, The Long Room is a gripping psychological study of loneliness and obsession. Well worth the five-year wait. This entry was posted in Reviews and tagged An Equal Stillness, British Fiction, Faber & Faber, Francesca Kay, The Long Room, The Translation of Bones on 27 January 2016 by Susan Osborne. Yes , I know – it’s not even Christmas week yet but if you’re a little weary of the same old titles popping up on Books of the Year lists – mine included – you might like a peek at what’s to come in 2016 which gets off to a very exciting start with a new Helen Dunmore. Regular readers of this blog will already know that I have a bit of a bee in my literary bonnet about how underrated Dunmore is alongside the likes of Ian McEwan, Salman Rushdie and Martin Amis who all get acres of coverage when she’s lucky to get a single football field’s worth. Exposure opens in November 1960 amidst the febrile atmosphere of the Cold War. Simon Callington stands accused of spying for the Soviets. His wife is determined to clear his name, unaware that Callington is hiding a damaging secret in his past. 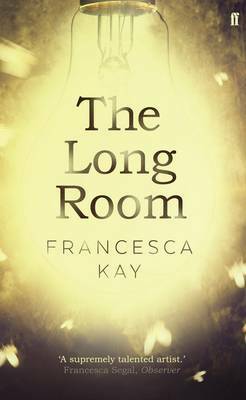 Set at the other end of the Cold War in 1981, Francesca Kay’s The Long Room also explores the world of espionage but in a very different way. Stephen Donaldson is assigned the ultra-secret case of Phoenix, his task to assess whether or not his subject is betraying his country. Lonely and frustrated, Stephen finds himself falling in love with the voice of Phoenix’s wife. ‘With her mastery of the perfect detail, Francesca Kay explores a mind under pressure and the compelling power of imagination.’ says the publisher. Given how much I enjoyed An Equal Stillness, I’m looking forward to this one. The same goes for Gail Jones’ A Guide to Berlin. Sixty Lights, Sorry and Dreams of Speaking are all examples of very fine writing so my hopes are very high for this new one named after a Nabokov short story written in 1925. Six travellers – two Italians, two Japanese, an American and an Australian – meet in empty Berlin apartments to exchange stories and discuss Nabokov’s work until an act of violence splits the group apart. Jones’ writing is beautiful – elegant and delicately understated. This should be a treat. Patrick Modiano is also a master of the understatement. 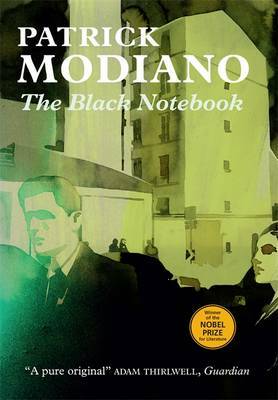 I read my first Modiano this year – So You Don’t Get Lost in the Neighbourhood – and was as impressed as I had expected to be given the many fans in the blogosphere who had been singing his praises. Maclehose Press are publishing two more this year, the wonderfully named In the Café of Lost Youth which sounds as if it explores just that and The Black Notebook, in which a writer discovers a set of notes and sets off in search of a woman he loved forty years ago. There seems to be an element of mystery in both novels but if Neighbourhood is anything to go by, there will be more questions posed than answers. Jonas Karlsson’s The Invoice appears to be the story of an unremarkable man, happy with his life working in a Stockholm video store and living alone in a small flat just a few yards away from an Ice cream stall that sells his favourite flavours. I know this hardly sounds riveting but I loved The Room with its portrayal of a man in the grips of a delusion – a wonderfully quirky novel with cringemaking descriptions of corporate office life which will be all too familiar to many, I’m sure. 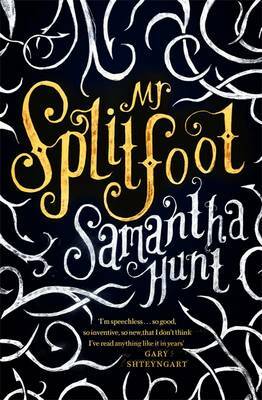 Similarly, Samantha Hunt’s The Invention of Everything Else was a fine read which is why I’m including Mr Splitfoot despite its slightly unconvincing premise. Two orphans decide to jump ship and attach themselves to a travelling con man who claims to channel the dead. Decades later a young woman, in the midst of a crisis, is visited by her mute aunt. Together they set off on foot, travelling across New York. ‘Ingenious, infectious, subversive and strange’ say the publishers – I particularly like the sound of subversive. That’s it for the first batch of January titles. As ever, if you’d like more detail a click on a title will take you to Waterstones website. More to follow soon. This entry was posted in Random thoughts, Reviews and tagged A Guide to Berlin, An Unequal Stillness, Books published in January 2016, Dreams of Speaking, Euan Cameron, Exposure, Francesca Kay, Gail Jones, Helen Dunmore, In the Cafe of Lost Youth, Jonas Karlsson, Mark Polizzotti, Mr Splitfoot, Patrick Modiano, Samantha Hunt, Sixty Lights, So You Don't Get Lost in the Neighbourhood, Sorry, The Black Notebook, The Invention of Everything Else, The Invoice, The Long Room, The Room on 16 December 2015 by Susan Osborne.